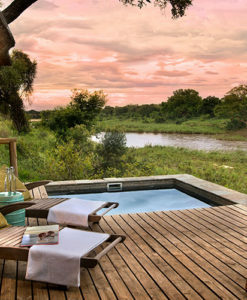 Kruger consistently delivers on both safari and luxury lodging for travelers who enjoy rustic five-star luxury in one of the world’s best national parks. 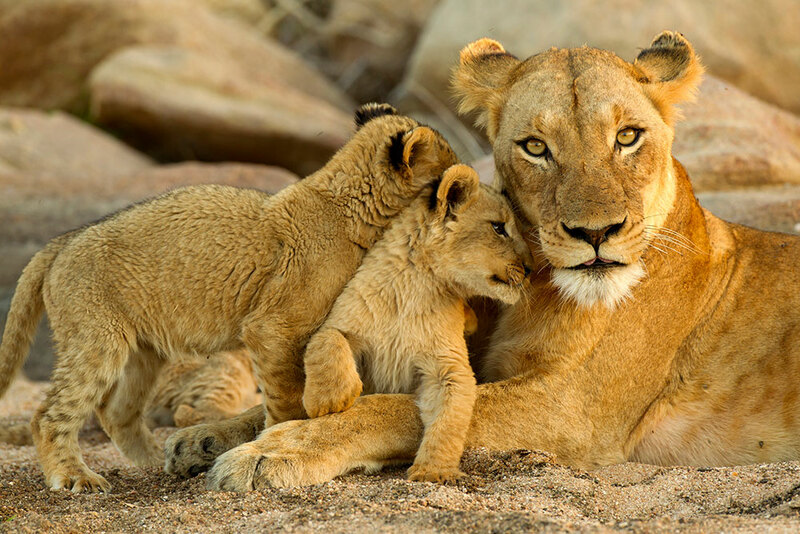 The Kruger National Park is a family-friendly safari destination that provides options for both organized and self-drive travel options. It is home to the Big Five and a world of other wildlife and birdlife. Activities such as guided walks, bird-watching, game drives and game viewing on horseback provide for exciting things for visitors to do. 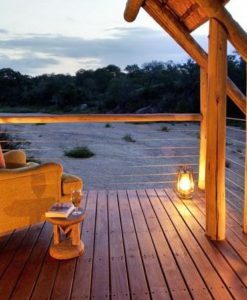 If you want to include one of these properties in a customized package or tour, we would be happy to give you a free quote and answer your questions so we ensure you get the Kruger Park safari holiday of your dreams. Singita’s exceptional luxury makes this getaway a proper escape, with fantastic meals prepared for you each day, opulent accommodation and excellent facilities. Enjoy sunset cocktails on late afternoon game drives, or from the lodge’s beautiful balconies. This great holiday is the perfect introduction to the beauty of South Africa, with safari at a private reserve, a 4 night stop in Cape Town and a fantastic finish with 2 nights in the Winelands. In 1898 the Kruger National Park was established as part of SANParks. 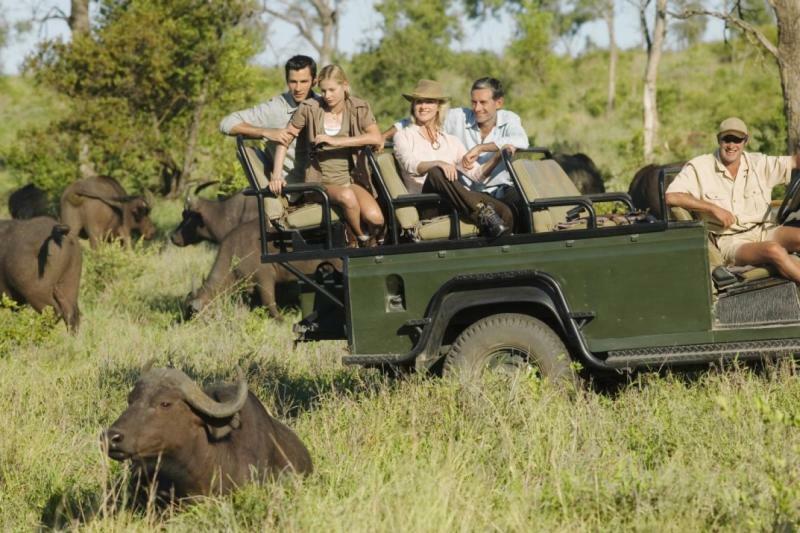 Today it is a world-renowned hot-spot for exploring the diversity of the African bushveld and wildlife in South Africa. With advanced environmental management policies and programs in place, the Kruger National Park is also a center for environmental and wildlife research. 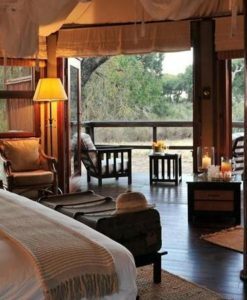 Narina Lodge is a small intimate safari lodge with only 9 spacious suites, each with an open plan living and bedroom area as well as a large en-suite bathroom, offering great armchair game viewing and exceptional views from your private pool. Royal Malewane is a private game reserve that spares no expense in providing its visitors with comfort, luxury, and the ultimate game viewing experience. Idyllic stilted log cabins and bungalows nestled in the bush, in some of the richest wildlife conservation lands on the planet. 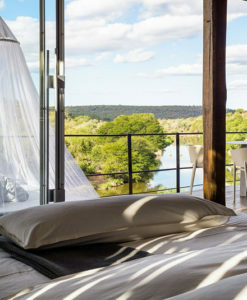 There is a fair selection of lodges to choose from in the Kruger. 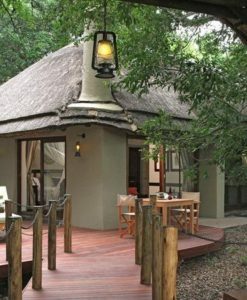 Hamiltons Tented Camp, Imbali and Hoyo Hoyo are three of the top class lodges to stay at, where Imbali is rated one of the top luxurious and romantic safari lodges, offering a great value for money experience. 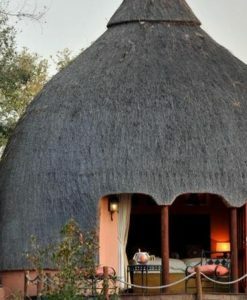 There is a selection of lodges to choose from in the Kruger. 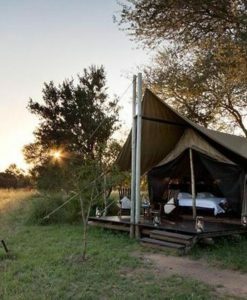 For exclusive and romantic safari options look to the Kapama Game Reserve, where the Southern Camp, River Lodge, Buffalo Camp, and Kapama Karula will delight you with whatever your needs may be. SANParks is the South African National Parks Service, who are responsible for conservation, socio-economic development and responsible tourism in the park. While most of the lodges that we feature are built on private concessions in the park, you may want more information about the park itself, or see some of the budget traveler accommodation that they have to offer. To that end, here are some resources that may be of interest, but note that bookings are done directly with SANParks.